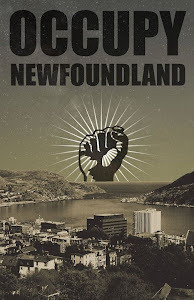 Occupy NL is calling on concerned citizens to protest against the provincial government's Bill 29. 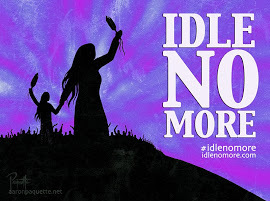 This Saturday at 1 pm we will meet up in front of Confederation Building to voice our discontent. Bring a sign (and maybe even your pots and pans) to show how important government transparency and accountability is to you! 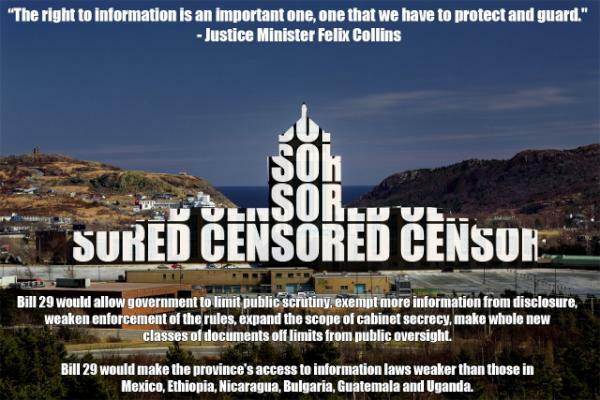 Download Access Denied protest PDF here. Thanks to Gordon Little / @Anubis_666 for letting us use his image!